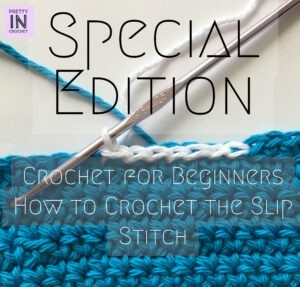 Today I’m going to show you how to crochet slip stitch. 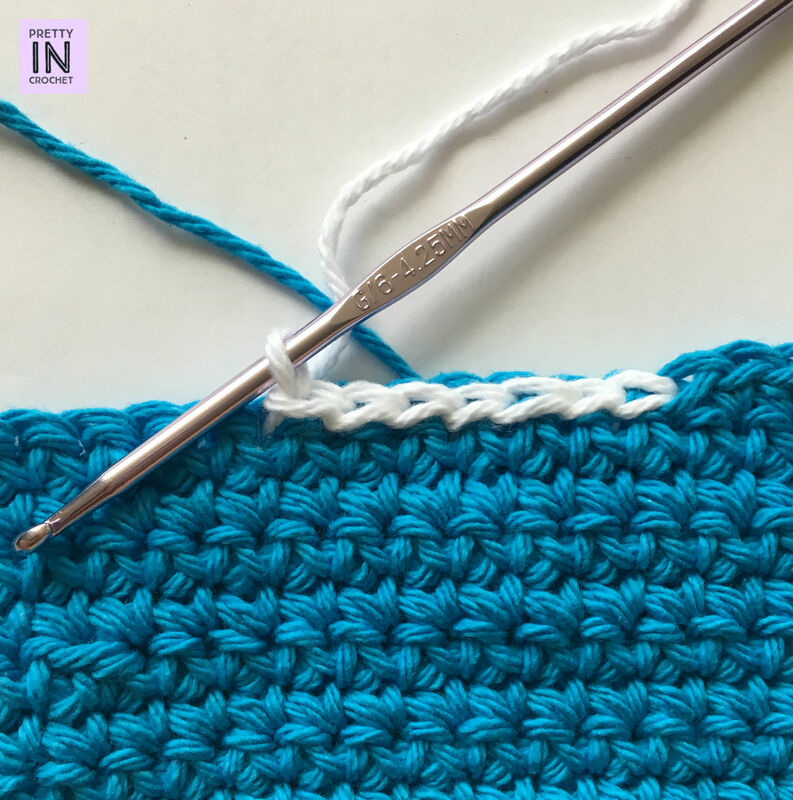 This is an essential stitch in crochet, as it’s used to join rounds, to create a ring, in amigurumi, to create granny squares and about a dozen other things. 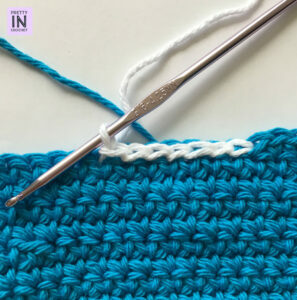 In crochet, this is an essential stitch, so naturally I had to create today’s special edition to the Crochet for Beginners series. 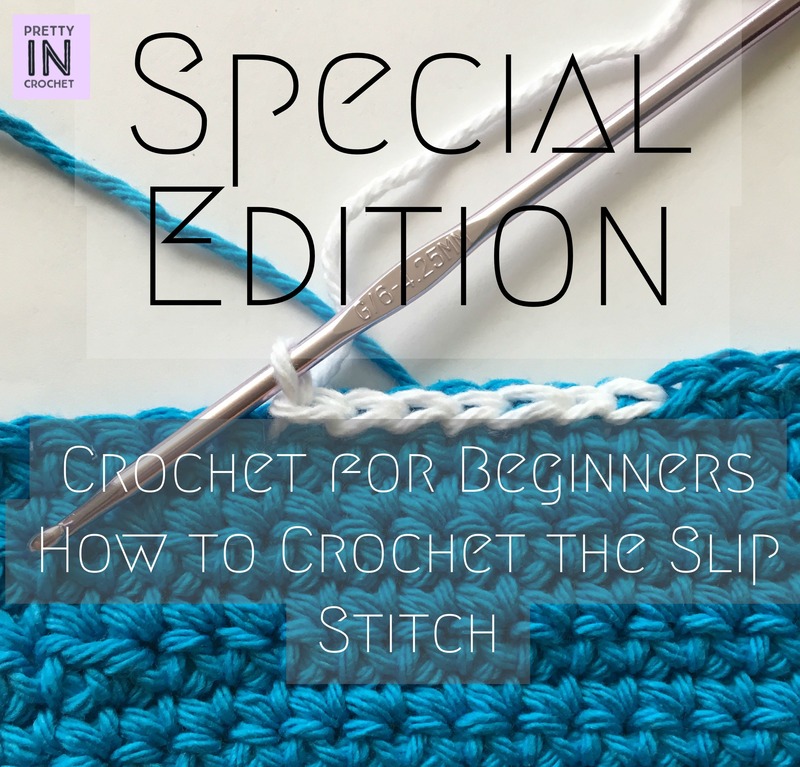 So how do you crochet the slip stitch? It’s easy! I’ve crocheted a swatch in blue using the single crochet, and my slip stitches are in white so you can see them better. Slip stitches are shorter than the single crochet, but I have never seen them used for a larger piece like washcloth or even a sturdy purse. Mostly in my experience this is a joining stitch. Let’s get started shall we? 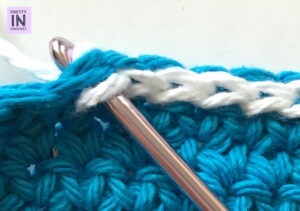 Slip stitch pictured in white, appearing similar to a chain. 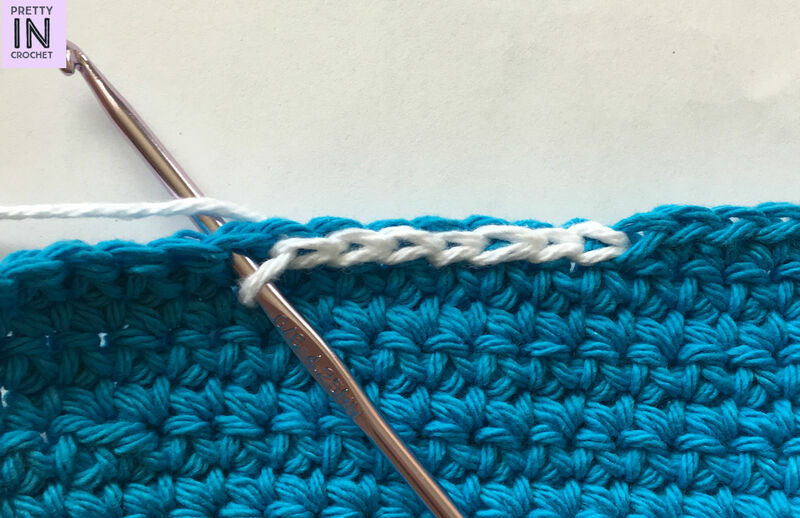 To crochet the slip stitch (abbreviated to sl st in patterns), insert your hook into a stitch. In the case of my swatch, I’m inserting my hook into the next single crochet. Now, yarn over (Figure 1) and draw the yarn through both the stitch and the loop on your hook at once (Figure 2). This is done in one motion. You should have one loop on your hook when you are done. As you can see, my row of slip stitches look similar to a chain. If yours look mine, you’ve mastered the slip stitch. Be patient. Learning anything new takes time. You might be all thumbs in the beginning. Just keep practicing. Take breaks to loosen up your fingers and wrists. Like any repetitive motion, crochet can lead to pain if you’re not careful. Check your posture too! Your shoulders don’t belong up by your ears as you crochet, nor should your spine be curved. Don’t mind what anyone says about how you hold your hook or yarn. The right way for you is what works and gets the job done! I would not be here if I had wasted time worrying about holding my yarn right. Get yourself a yarn basket or bag and keep it handy where you crochet most. Purchase a variety of hook sizes, you’ll end up needing them if you want your piece to turn out the way a pattern intends.